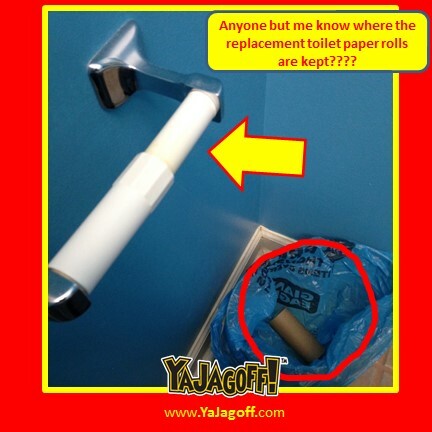 So the last one here new to take the cardboard roll off of the toilet paper holder but left not one square for the next guy…. ME! Who ever did this, are you the same person that stuffs 2,981 lbs of garbage into the kitchen trash can so that you don’t have to pull the bag out, tie it and put in a new one, Ya Jagoff? A Parking Space For Skinny Jeans People?